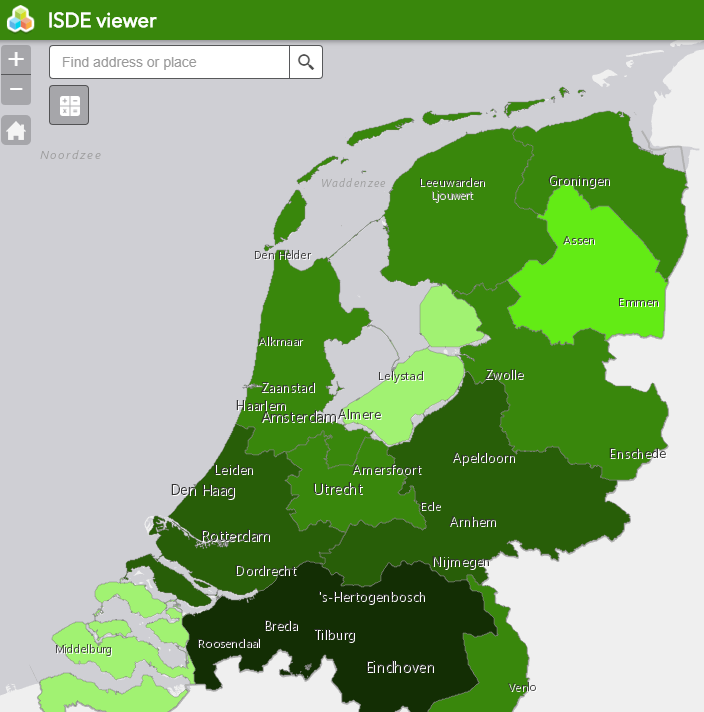 Since January 2016, a subsidy scheme by the Netherlands Enterprise Agency, also known as RVO, has led to the installation of 66,659 renewable heating systems in the country, the ISDE Viewer shows. ISDE is short for Investeringssubsidie Duurzame Energie, or Investment Grant for Sustainable Energy, which helps owners of residential or commercial property to retrofit their buildings with solar water heaters, biomass boilers or heat pumps (for a more detailed description, please see the database of incentive programmes). Half of the EUR 100 million budget that was available for 2018 still is, according to the programme’s website. The administrators of the ISDE scheme said that they had received 16,058 applications between 1 January and 31 July, which means that an estimated EUR 49.5 million, or about 50 % of this year’s budget, has been spent. Nearly 70 % of it supported the installation of heat pumps and as little as 7.7 % went to solar thermal (see the table below). Incentives for commercial property, such as multi-family houses and buildings owned by agricultural and service companies, were slightly higher than for single-family homes if all technologies are included in the calculation. Nevertheless, more solar thermal systems were installed in single-family dwellings. The table below shows a breakdown of ISDE Viewer figures about the top half of the 12 provinces in the Netherlands. In each province, there is a certain correlation between population size and the number of installed and subsidised renewable heat systems. But still, the high commitment of technology suppliers to sell solar can also have a big local impact on the sales figures. For example, there were 1,600 new solar thermal systems in the province of Gelderland. Gelderland was once home to solar thermal suppliers offering training to several experienced installers. The knowledge these installers gained over the years continues to drive the market today.